The solar industry is growing at an astounding rate – according to statistics provided by the Green Tech Media, roughly two thirds (68% in the United States) of all solar photovoltaic (PV) systems worldwide have been installed since 2011. 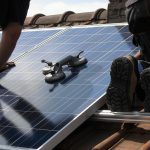 Installing a PV solar module can be an involved process (it usually takes around 3 months to implement the system), but in general, the benefits outweigh the effort and the costs tremendously. Installing a solar electric system is a long-term investment. 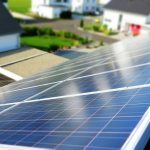 While it can cost as much as $10,000 to go solar in California (costs vary from state to state, seeing how every state has different solar policies), Clean Power Research estimates that you can save up to $40,000 after 20 years. In some states, people can expect to save up even more. For example, in Hawaii the residents save $64,000 on average, after two decades. 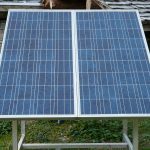 How Does the Solar Electric System Work? Solar electric systems convert sunlight directly into electricity. Every day, the light hits the panels on the roof of your house with particles of sunlight (photons) and the system transforms those particles into direct current. An inverter then converts the direct current into alternating current, which in turn, powers all of your electrical appliances. A net energy meter keeps track of all of the power, and sends any unused solar energy back into the electrical grid so you can use it at night or on cloudy days. First, you need to figure out how much sunlight your house receives by monitoring it throughout the day. There are four main categories: full sunlight (more than 6 hours of direct sunlight); partial sunlight (between 4 and 5 hours); partial shade (between 2 and 4 hours) and shade (less than an hour of direct sunlight). Shade can drastically reduce the energy output, because the system requires unobstructed access to the sun’s rays in order to function properly. The process is straightforward and you could install the system by yourself, but in order to avoid complications and injuries, it is best to hire an experienced, reputable contractor to do the job. 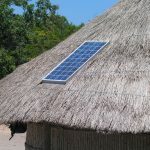 In most cases, problems with PV systems occur because of the poor installation. Also, don’t worry about malfunction – all solar equipment that receives rebates through Cal. Utilities comes with a 10-year warranty. 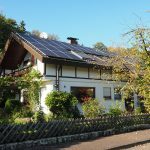 In addition, PV systems blend easily into traditional and non-traditional houses. If you have a flat roof and you are worried about the temperature in your house, you could easily install a VersiJack on your roof. VersiJack an adjustable Elmich decking that can be used to raise the solar panels on your roof in order to increase the heat isolation and cool down your house. Like any other mechanical appliance, a home solar system requires maintenance from time to time. However, while they are complex electronic systems, they don’t have many moving parts, so they do not require much maintenance. 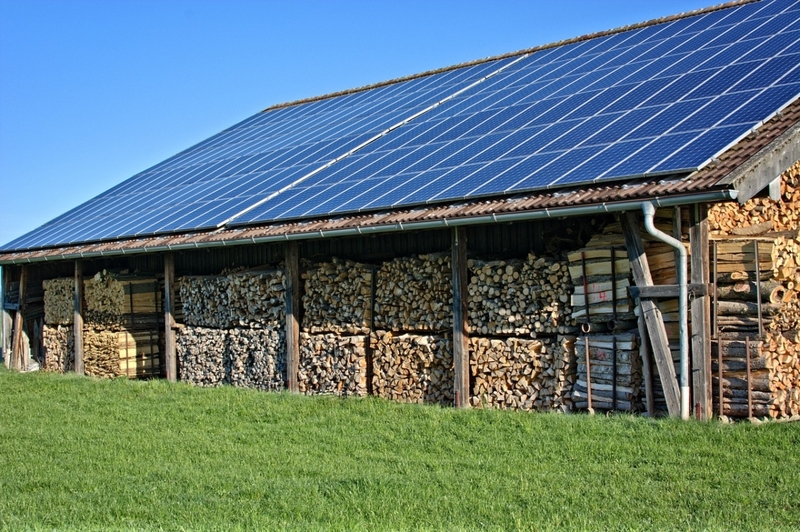 Of course, it all depends on the model you purchase – basic photovoltaics modules do not have moving parts, so they could last you up to 30 years while demanding little to no maintenance. 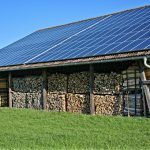 Even though many politicians and media outlets claim that solar energy is expensive, that could not be further than the truth. The fact is – many of them are using outdated facts and statistics. That is why you should check the numbers for yourself. According to a recent Bloomberg New Energy Finance study, the cost of solar panels has fallen approximately 100 times in the last 30 years. Furthermore, panels today are almost half as cheap as they were 10 years ago. Marie Nieves is a student and a blogger who loves unusual trips, gadgets and creative ideas. 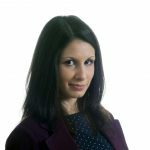 Marie loves to share her experiences and talk about practical solutions. She is an avid lover of photography interested in interior and exterior design and regular author on Smooth Decorator. You can find Marie onFacebook or follow her on Twitter and G+.